 1- Complete a Roof Tune-Up: This is a must for any roofing system and should be done on an annual basis to ensure the manufacturer does not void your roof warranty. By completing a thorough roof tune-up, a homeowner can easily extend the life expectancy of their roofing system by 20% or more, while eliminating those “surprise” leaks in the middle of the night which every homeowner dreads. 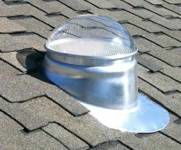 A thorough roof tune-up or roof maintenance program, should include, painting and resealing all roof flashings, the clearing of debris from the roof, gutters and drains and the repair of any loose / broken tiles, ridge caps or shingles. 2- Install a Tubular Skylight: The installation of a tubular skylight is a terrific, cost effective way to introduce daylight into rooms or hallways which otherwise get no natural light. Incorporating this natural daylight into your home, helps lower the use of electricity used during the day and improves the ambiance of any room. 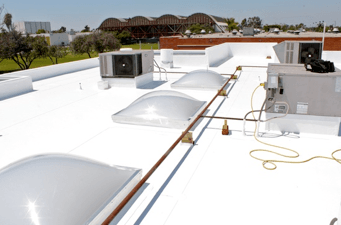 Not all tubular skylights are created equal, so ensure they are not made of inferior plastic parts and can be equipped with other useful components such as light kits for the evening or bathroom exhaust fans. 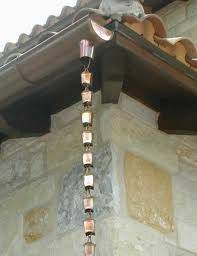 3- Incorporate a Rain Chain Into your Rain Gutter: A rain chain is an inexpensive and easy way to bring some flair to a home. By incorporating a rain chain at an entry way, or other noticeable area of a home, a property owner helps enhance the curb appeal of their property with this unique and often overlooked feature to a rain gutter system. Rain chains come in a variety of metal finishes, including steel, aluminum and copper. 4- Install Rain Gutter Guards: Another inexpensive and often overlooked component to a roof and rain gutter system is the use of gutter guards. These useful components helps eliminate the build up of debris in your gutters and protect the gutters from backing up in the rainy season. The proper use of gutter guards also helps reduce your future roof tune-up costs, by keeping your rain gutter cleaning down to a minimum. 5- Implement a Rain Barrel: Rain barrels collect and store rainwater from roofs for reuse in landscape irrigation. These containers are made of a water tight material, such as plastic or wood and the size of these containers can range anywhere from the standard 55 gallon barrel to thousands of gallons for a residential cistern. One inch of rain falling on 1,000 square feet of rooftop produces more than 600 gallons of water. By incorporating a rain barrel for your properties landscape irrigation, you are doing your part in helping reduce California’s - Water related energy consumption which is nearly 20% of the State’s overall electricity use!